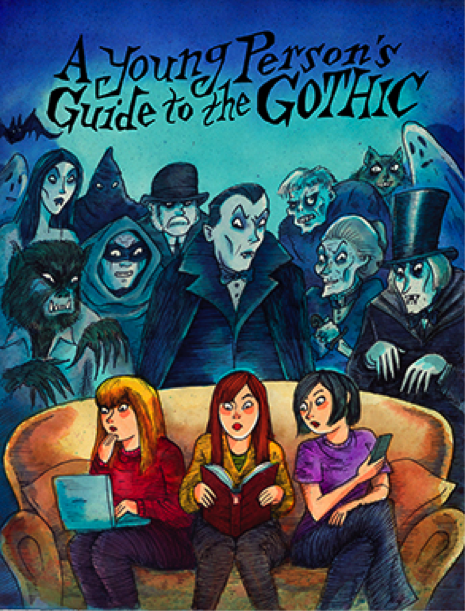 What better choice for an autumn promotion that our introduction to all things scary, spooky and Halloween-y: The Young Person’s Guide to the Gothic. If you want to know the origins of werewolves in literature, why abbeys are so often infested with evil or why zombies are the new kids on the Gothic block, look no further than this handy (but not dusty) tome. It introduces each of the main Gothic themes, linking back to the original stories and exploring key ideas, writers and influences – ideal anyone studying the Gothic, which is now a set topic in Key Stage 3. It includes a dozen of the finest Gothic short stories, ideal as the nights draw in. It even has illustrations by that master of the macabre Richard Sala, heir to Edward Gorey and Charles Addams. It’s so good you’ll want one copy for yourself and one for a friend or family member – and so we’re offering you just that! Order direct from us before the Day of the Dead (that’s 1 November, of course) and we’ll ship you two copies for the price of one.